These gorgeous designer blankets will chase off the chills in winter and make a beautiful nursery floor rug come summer. Made from cotton that is free from nasty chemicals! Fabulous Goose have a simply stunning collection of blankets for babies and children that will warm the cockles of your heart as well as your kids. Charming, nostalgic characters displayed in a minimalistic style with a contemporary colour palette. We just love them! 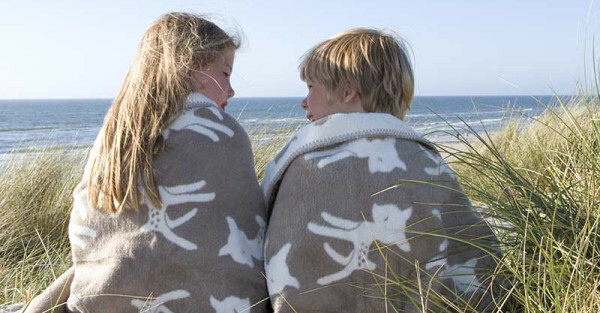 How sweet and snug do these two look wrapped in gorgeous Bambi blankets at the beach? The darling deer design is classic and the warm beige colour is gender neutral and stylishly modern. Available in a range of colours including two shades of grey and espresso. 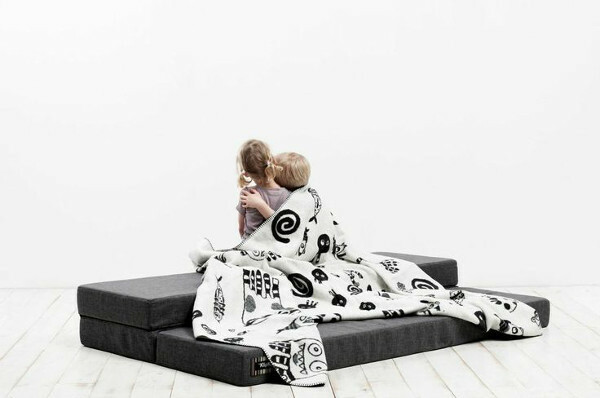 All blankets are reversible with an inverted colour design on the flip side. The patterns are charming and evoke warm childhood memories with cute baby foxes, fairytale forests, and unusual underwater creatures. 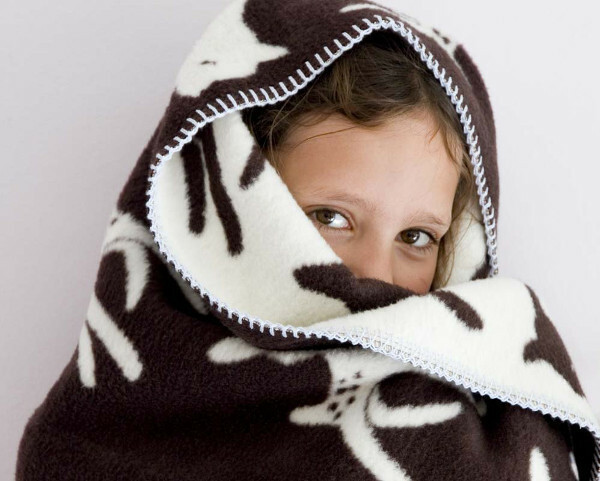 You can get these blankets in either standard (€52.50) or organic cotton (€65) and Fabulous Goose has a new range of knitted blankets now available for pre-order. They have a flat rate shipping price of €5 worldwide for baby blankets and €14 for larger sizes.